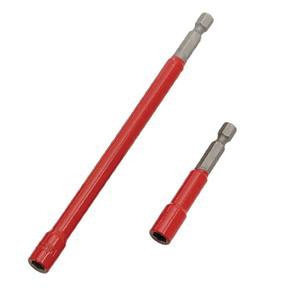 Rack-A-Tiers Color-coded 2.5-Inch magnetic hex bit in red finish, has hexagonal socket of size 1/4-Inch. It comes with color-coding for easy size identification. Hex bit is UL listed and CSA certified.